A yearlong initiative to raise awareness of chemistry and its applications for sustainable development. The Year was proclaimed by the United Nations General Assembly (A/RES/72/228) and approved by UNESCO's General Conference (39C/ decision 60). The International Year of the Periodic Table of Chemical Elements 2019 will be launched on 29 January 2019, with a day of conferences and debates highlighting the relevance of the Periodic Table in addressing relevant challenges for sustainable societies, in fields as diverse as health, food security or energy, which will be available through a live webcast. The programmes includes a lecture by Ben Feringa, 2019 Nobel Prize in Chemistry, a presentation of the latest synthesized elements by Yuri Oganessian, and discussions on applications for sustaiable developement, educational outreach, the origins of elements, and much more. The International Year of the Periodic Table of Chemical Elements 2019 will bring together a variety of stakeholders around the world – including scientists, educational institutions, non-profits and private-sector supporters – to foster educational initiatives and scientific collaboration, improve access to science education and reflect on the role of science for society and sustainable development. The founding partners of the Year are the International Union of Pure and Applied Chemistry (IUPAC), the European Association for Chemical and Molecular Science (EuCheMS), the International Science Council (ISC), the International Astronomical Union (IAU), the International Union of Pure and Applied Physics (IUPAP) and the International Union of History and Philosophy of Science and Technology (IUHPST). 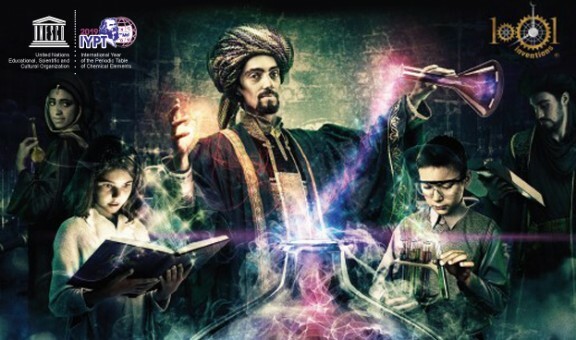 UNESCO's international Basic Sciences Programme and IUPAC coordinate the year in cooperation with national, regional and international chemical societies and unions, including more than 150 leading scientific centers around the world.